It’s often suggested that SUVs are taking over the car world these days, and when a firm like Rolls-Royce decides to offer one in the shape of the Cullinan, it’s pretty hard to argue with that. 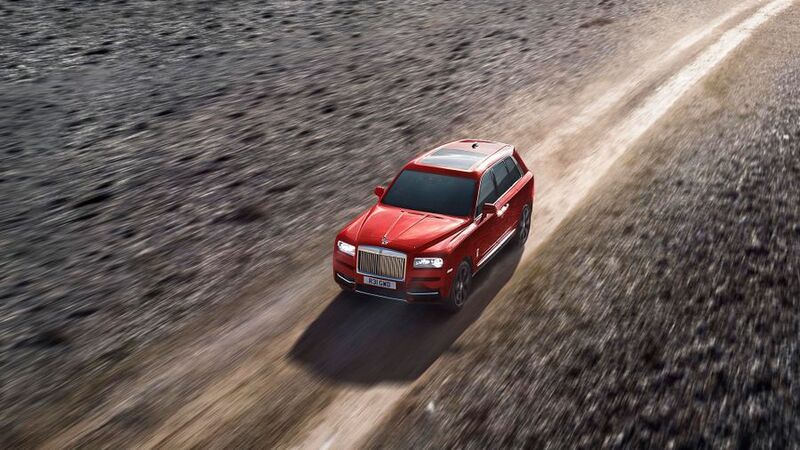 A product borne of customer demand, the Cullinan is as sumptuous inside as a Phantom, as comfortable and as luxurious as any Roller should be, and can even handle a bit of off-roading. Yes, it’s as ludicrously expensive as you’d expect to buy and run, but that won’t be any sort of barrier to the well-heeled folk who can consider buying one, of which there are plenty. Heck; it might even make the car even more appealing. 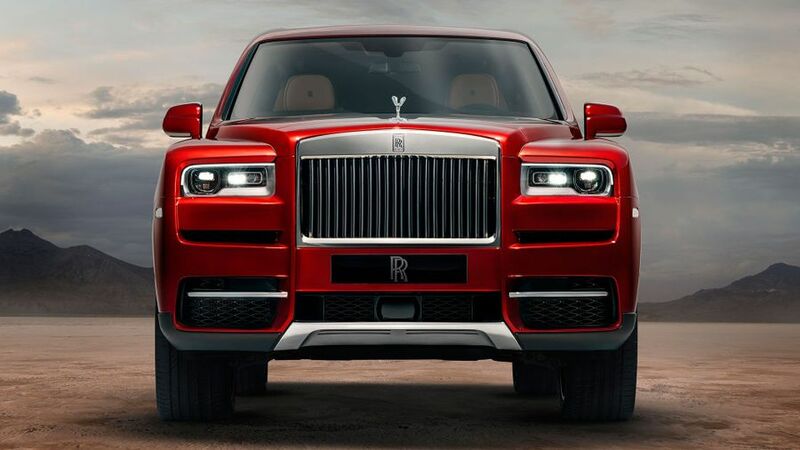 Interested in buying a Rolls-Royce Cullinan? 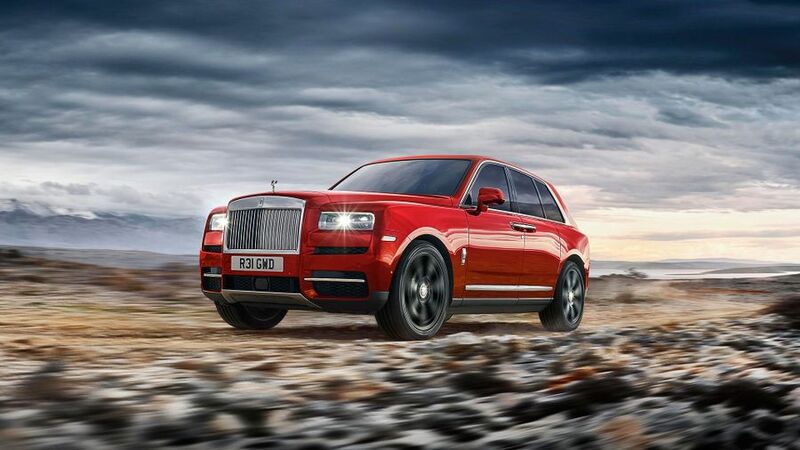 Looks are entirely subjective, of course, but the general consensus with the Cullinan is that it is a brute of a car, in the manner of the Bentley Bentayga, with big slabs of aluminium, huge dimensions, aggressive inset headlights and a protruding rump at the rear. Unlike the Bentayga, however, the Cullinan comes from a family of huge, high-riding cars, so it looks less out of place than the Bentley within the Rolls-Royce portfolio. That elegant Spirit of Ecstasy figurine still adorns the long bonnet, creating a moment of theatre every time you get behind the wheel. You can have it in metal or frosted glass, and it can be up-lit for extra glamour. 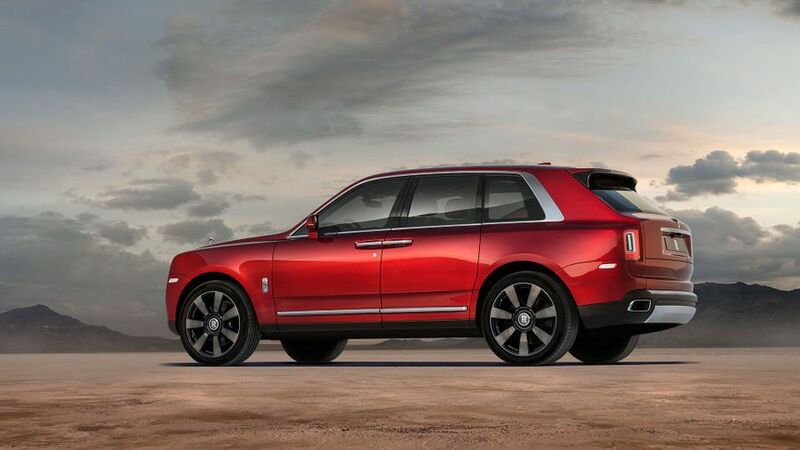 You can - of course - specify the Cullinan in any colour you want. 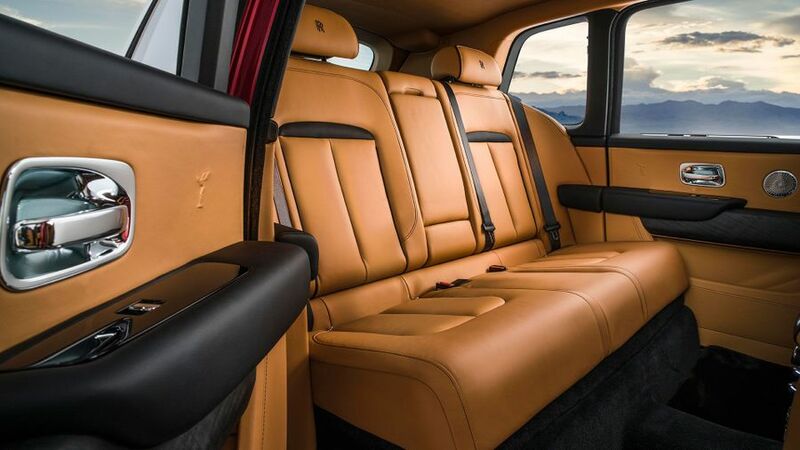 The interior of the Cullinan is exactly what you’d expect from a Rolls-Royce. 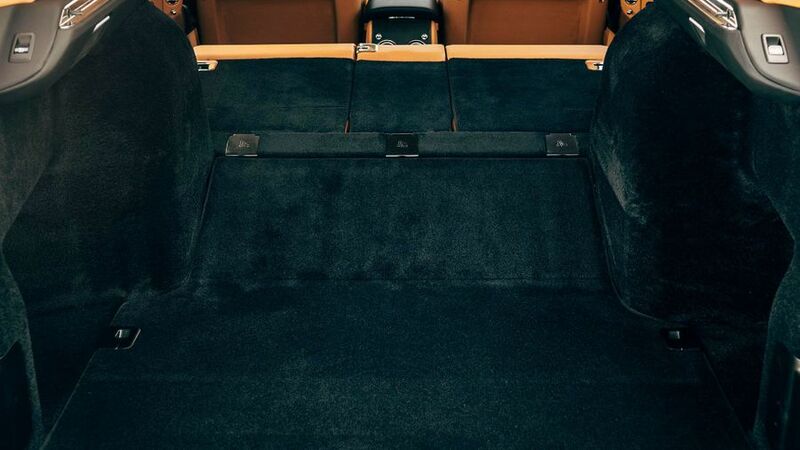 The rear doors are hinged at the back, meaning an extra layer of theatre every time you get in or out, and they open to reveal deep lambswool carpets, the softest leathers in any shade from startling orange to ice white, and open-grained oak and teak veneers. Rest assured, carts don’t come much more luxurious than this. In a nod to the more utilitarian nature of the Cullinan, though, the standard leather on the dashboard is a new “box grain” black leather, which has the appearance of a Leica camera box, with a rugged texture. There are heated seats, of course, but also heated arm rests, and the usual Rolls-Royce umbrellas in the doors. This is the most practical car Rolls-Royce has ever built, which may not be saying a great deal, but is the reason for its existence. Why? Well, many well-heeled customers want a Rolls-Royce to add to their collection that suits their active, family-oriented lifestyles. The general theory is that whether you’re fly-fishing in a muddy field, nipping off to your ski retreat of choice, or chasing a pheasant across the countryside with your shotgun, the Cullinan has you covered. The doors open wide and the air suspension lowers the car for getting in and out. Rolls-Royce has also wrapped the sills under the car to a degree to stop legs getting muddy on exit, which is another nice touch. The rear of the car has loads of space, as you’d expect, and customers can choose from two different seating configurations; a standard three-adult bench seat, or two individual seats with a huge refrigerated console separating them which contains champagne flutes, whisky tumblers and a decanter. One can also specify a glass partition between the two rear seats and the luggage compartment, to keep passengers toasty when the split tailgate is open, which is a genius touch. The boot is predictably massive, and with the rear seats folded flat, there’s a ridge to keep luggage in place, or the press of a button raises the boot floor to form a completely flat base for loading long items. Rolls-Royce’s cars all have a common characteristic in the way they drive, which is a luxuriously wafting ride. Importantly, the Cullinan also delivers on that score, so you’re cosseted along with virtually no idea what the state of the surface beneath you is like. As you’d expect from a Rolls, the Cullinan is as quiet as it is comfortable, too. You can barely hear the engine at tick-over, and there isn’t that much more noise at the national speed limit. You’d never expect a car this enormous and high-riding to feel agile in the corners, and it certainly feels its size, but importantly, this is still an easy car to drive. There’s clear visibility in all directions, along with parking cameras all around the car, which project a high-resolution image onto the big touchscreen. If you want to venture off-road, there’s four-wheel drive, hill descent control and decent ground clearance, but there’s no low-ratio gearbox. Still, when you press the “off-road” button, you can then select one of three modes on screen that give varying degrees of traction depending what surface you’re on, while throttle responses are also limited so you can’t spin the wheels into the mud and get stuck. We tested the car on the rocky mountainsides of Wyoming and it did more than we envisage any Cullinan buyer wanting/needing it to do. 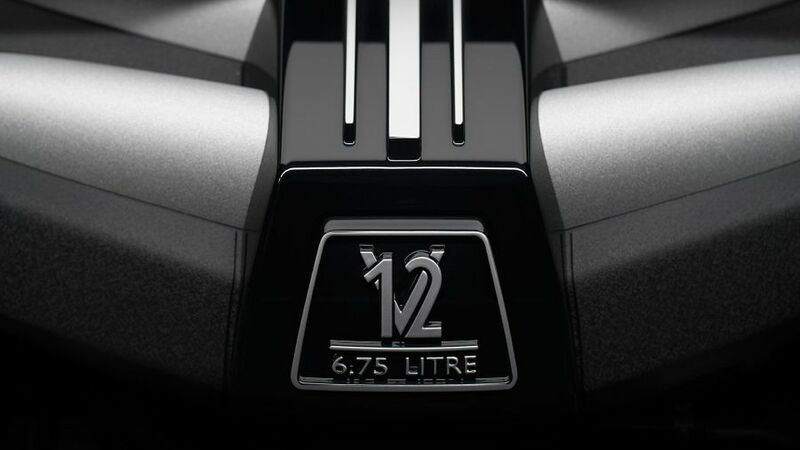 Under that long bonnet lies Rolls-Royce’s 6.75-litre, twin-turbo V12 petrol engine, which delivers 563 horsepower. Which is a lot. More important, though, is the plentiful torque that’s delivered, because that’s the stuff you need in order to get this 2.7-tonne SUV off the mark. Happily, the Cullinan gets off the mark with a great deal of purpose, and it can pick up speed pretty rapidly on the move, too. The beauty, though, is not in the raw power, but in how it is delivered. As you might expect, the power increases seamlessly, without any fuss, or even much of a sense that you’re accelerating at all. This means you’ll need to keep an eye on the speedo and Rolls’ graceful power reserve dial. Similarly, the brakes are incredible, stopping all that moving mass with zero fuss. A lot. And then a lot more. As ever with cars of this type, the overall price you pay isn’t governed by the base price (plus local taxes) but in what you then add to your car by way of options and specification. You’ll be wanting the glass partition in the rear, and of course the “viewing suite”, which consists of two black leather and stainless steel chairs which rise from an extended boot floor when the tailgate opens, so you can watch your offspring gymkhana-ing in comfort. Then there’s the oiled teak picnic hamper, with its aluminium and leather trays, napkins, glasses and decanters, and the limited-edition cocktail hamper with cocktail shaker, tumblers, mixers and decanters. Realistically, most owners can expect to add a good £100,000 to the starting price. As for running costs, it’s a predictable story. 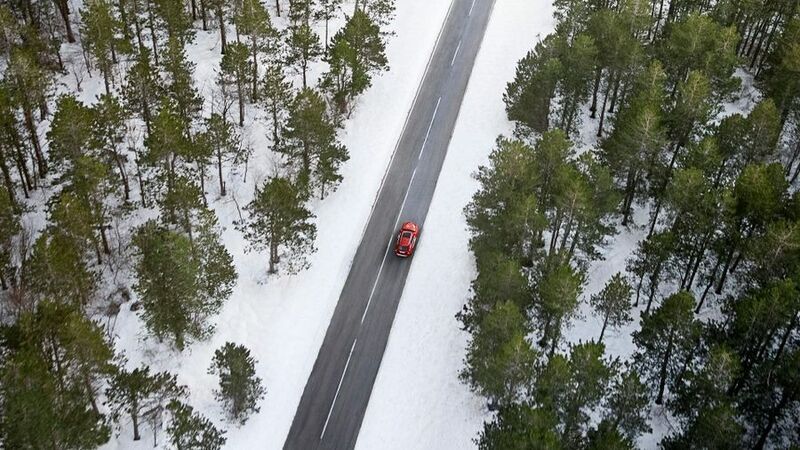 Fuel consumption (you’ll be looking at about 15mpg), insurance bills and maintenance will be eye-watering, and so will the depreciation losses owners are likely to make. Then again, owners aren’t like to give a hoot about any of that because to even think about buying one, you’ll have to be rich enough not to care about the financial side. Rolls-Royce makes about 4,000 cars a year, and every one is very carefully engineered and assembled at its factory in Goodwood. 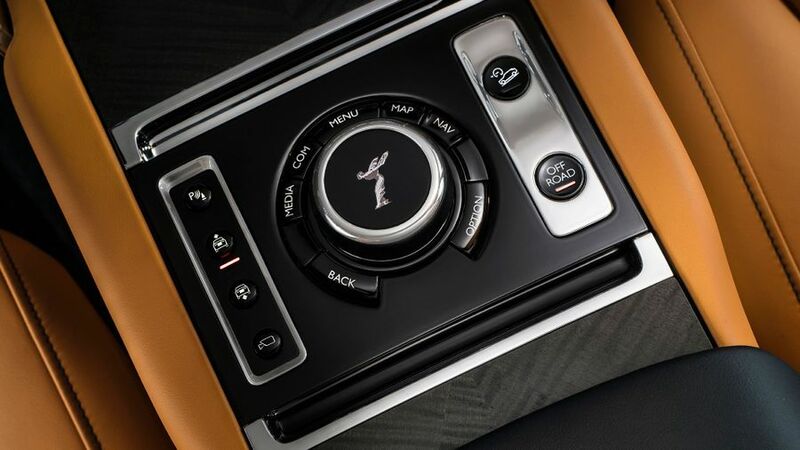 The touchscreen interface and some other components come from parent company BMW, while the eight-speed transmission and engine are already well proved in Rolls Royce’s other models. Should you have the slightest problem with anything, you will already have a personal relationship with Rolls-Royce so getting to the bottom of the issue shouldn’t prove tiresome. Having said all that, however, there was an issue on one of the test cars on the launch we attended, with a rear door and window that refused to open. Teething problems, we’d strongly hope, but a point is docked here. Even here there’s luxury to be found, as the Isofix mounts in the rear are hidden by beautiful zips with RR monikers. Back in the real world, there are front-, side-, knee- and curtain airbags, front collision and rear collision emergency braking systems, wildlife and pedestrian detection systems, cross-traffic and lane-departure warning systems, a system to warn you if it senses your “alertness” is waning, and four cameras for parking. We also got a chance to test the night vision cameras, which picked up a deer on the road in the dark well before we saw it and sent an alert to the head-up display. Due to the low volume of cars Rolls-Royce produces, there won’t be an NCAP safety rating for the Cullinan anytime soon. On the other hand, in the case of a frontal collision, the obstacle would have to get through a hectare of bonnet before it hit the passenger compartment. Lots, but no vital Apple CarPlay, so a point is docked. Umbrellas, of course. And a picnic hamper or cocktail cabinet, if you want them. And champagne flutes and whisky tumblers in the refrigerated centre console. Oh, you mean actual useful equipment? Well, there’s an excellent high-resolution heads-up display, and BMW’s great infotainment screen with very clear graphics. There are five USB charging points and a wifi hotspot. Options include massaging seats in the front, picnic tables in the rear, touchscreen tablets in the rear to control all infotainment functions, rear curtains on the door windows, and a bespoke audio system. It’s almost pointless to separate ‘standard” equipment from the options, as Rolls-Royce expects pretty much every customer to specify their car with some extras. First and foremost, because it’s a Rolls-Royce, and then probably also because it’s an SUV. 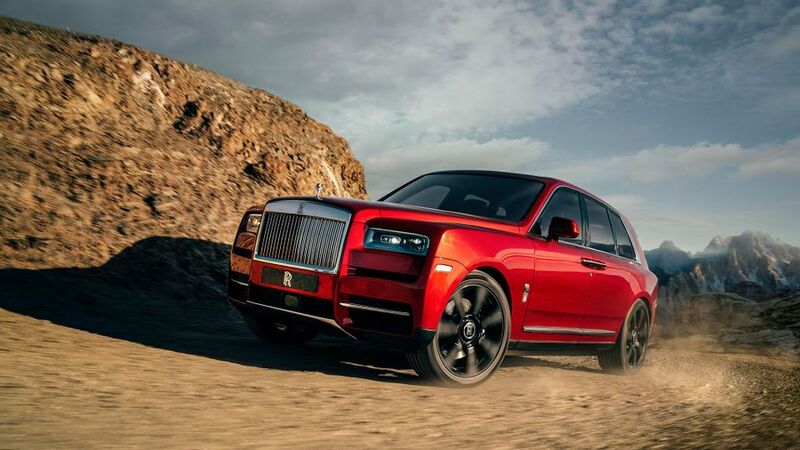 You can argue the toss about whether the Cullinan is a good idea, but it’s very difficult to criticise the execution (except perhaps on the omission of Apple CarPlay). The company still sits at the very pinnacle of luxury motoring, and this SUV offering does nothing to undermine that.